Letha Bernice Maddox Tackett went home to be with Jesus on Monday evening, August 13, 2018, with her family by her side. Born on February 29, 1940, in Mount Carmel, Kentucky, she was the daughter of the late Russell Abram and Iva Alice (Million) Maddox. In addition to her parents she was preceded in death by her siblings, Richard Maddox, Ida Kathryn Coffey, Virginia Alice Miller, Mabel Frances McGee, Bill Maddox, Bob Maddox, Carolyn Ruth Scheffler, and Nancy Kay Hardymon. 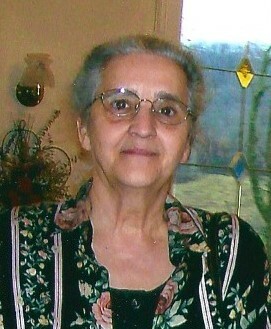 She is survived by her loving husband of 58 years, Lowell “Zip” Tackett; her children, Teresa (Rocky) Hardymon, Mari Beth Tackett, and David (Tonya) Tackett; her grandchildren, David Austin Tackett and Bethany Nicole Grimes; her siblings, Doug (Nora) Maddox of Arizona, and Audrey Grace (Frank) Mitchell of Pennsylvania; along with many nieces and nephews she loved dearly. Bernice was a follower of Jesus Christ from the age of 10 and had the gift of serving others. She manifested this gift in many ways over the years from leading church youth groups to teaching Sunday school. Her faith was strong and many in the family benefited from her encouragement and Christian witness over the years. For many years she worked at Pioneer Trace Nursing Home as a nurse’s aide. She graduated from Morehead State University with a degree in Education and was a Special Education teacher in Lewis and Fleming Counties. She found joy in her students and purpose in meeting their needs. Her grandchildren remember having many play adventures with Grandma. When they came to visit, work was forgotten, and the important things such as playing dress up, acting out plays and “marching” to the park became the priority. A graveside service will be 11 a.m., Friday, August 17th at Fleming County Cemetery with Chaplain Keith Sergent officiating. Pallbearers include David Tackett, Austin Tackett, Rocky Hardymon, Chris Maddox, David Wilson, and Rajiv Rodrigues. In lieu of flowers, the family has requested that any memorial gifts be donations to the Alzheimer’s Association (online www.alz.org or by mail P O Box 96011, Washington, D.C. 20090-6011) or Hospice of Hope (909 Kenton Station Drive, Maysville, Kentucky 41056).